One of the most important organs in our body are the kidneys since their major function is to remove excess fluid and waste products from the body. In order to prevent more dangerous health conditions, you need to pay close attention to all kidney problems and they should be treated seriously as a great issue in the nowadays medicine. The latest statistics stated that around 20,000,000 Americans are having some kind of kidney disease or problem. Finding the actually cause is in fact the key in the treatment of any kind of kidney problem. High blood pressure and diabetes are the most common causes for kidney issues. Moreover, it can also be a consequence of certain genetic disorder. Even though kidney and back pain are really difficult to distinguish, kidney pain is most commonly deeper and higher in the end back located in the back. Kidney stones and urinary tract infections are the most common causes of kidney pain. You may urinate more often, or in greater amounts than usual, with pale urine. Your urine may contain blood. You may feel pressure or have difficulty urinating. You may urinate less often, or in smaller amounts than usual, with dark-colored urine. You may have to get up at night to urinate. Urine may be foamy or bubbly. 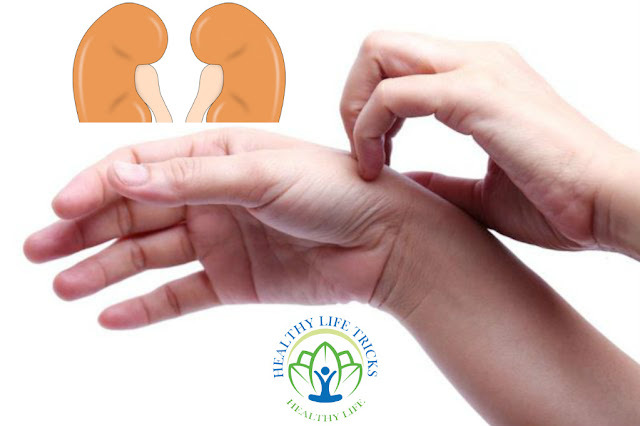 As we already mentioned, kidneys remove wastes from the bloodstream, so when they fail to work properly, the buildup of wastes in your blood can cause severe itching. Kidneys that don’t work properly, can’t remove the extra fluid which builds up in your body and as a result, you experience swelling in the legs, ankles, feet, face, and/or hands. Erythropoietin or EPO is a hormone produced by healthy kidneys which tells your body to make oxygen-carrying red blood cells. Logically as the kidneys fail, they produce less EPO, so with fewer red blood cells to carry oxygen, your muscles and brain tire very quickly. This is anemia, and it can be treated.